Update: November 20, 2013, Pennsylvania House voted 104-95 to give key preliminary approval to the $2.4 billion transportation funding program. Last evening as I was boarding the Media-Elwin Regional Rail at the 15th Street Station, I watched as passengers streamed onto the train filling up the seats and then standing in the aisles. It seemed incredulous to me that considering both the crisis of global warming and the thousands of riders who depend on public transportation, that SEPTA (Southeastern Pennsylvania Transportation Authority) has presented a “doomsday” proposal to shut down the Elwin-Media line, as well as closing eight other regional rail lines. 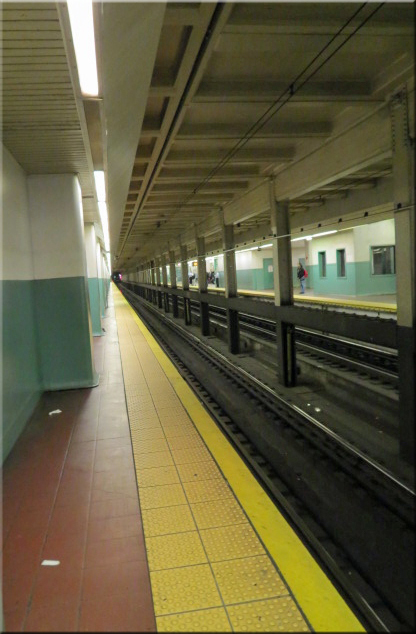 Will deserted stations become the norm? 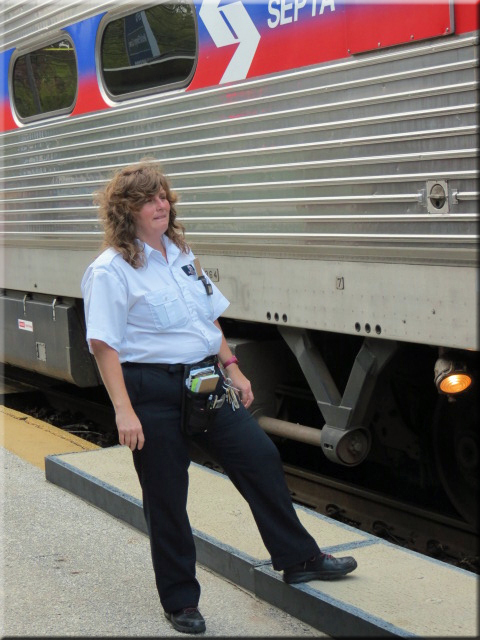 During the Pennsylvania State Transportation Committee hearing held at Temple University on September 12, 2013, SEPTA General Manager Joseph M. Casey stated that these changes would affect 89,000 daily transportation users. Yet, just two months ago, SEPTA announced an all-time high in regional rail ridership. 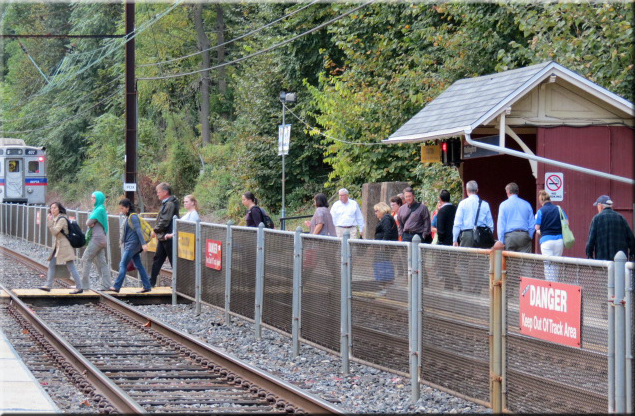 Passengers made over 36 million trips in a year’s time, including 2.9 million on the Media-Elwyn line. The hardships created by such a shutdown are almost immeasurable. People with disabilities, senior citizens, and those unable to afford an automobile would be prevented from getting to their jobs and medical appointments. Paratransit service for the handicapped would be reduced. Students requiring transportation into the city from the Western suburbs would find it difficult to get to Penn, Temple and Drexel, and the 31 other universities in the city and surrounds. The young man sitting next to me was studying a medical textbook. Trains allow time for people to study, read, socialize or just relax, which is totally unavailable to automobile commuters. Increased car traffic would add to the congestion on our already crowded highways. Economic losses would befall Philadelphia as suburbanites rely on public transportation to bring them into the city for volunteer work, cultural activities and special events. Philadelphia could lose 60,000 jobs. According to a study released by SEPTA, home values would drop if Regional Rail service would be cancelled. The average property value premium for houses located in counties is $7,900. Homes in communities with higher levels of Regional Rail service and parking capacity, the property value premium averages between $31,000 and $37,000 per house. 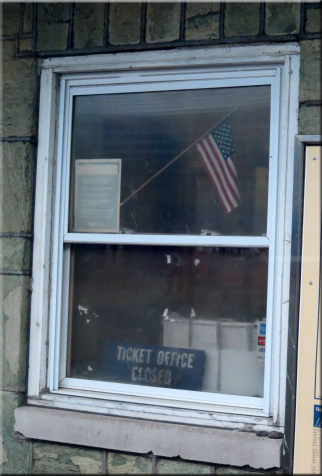 Closed Ticket Windows . . . the future for Delaware County Riders? 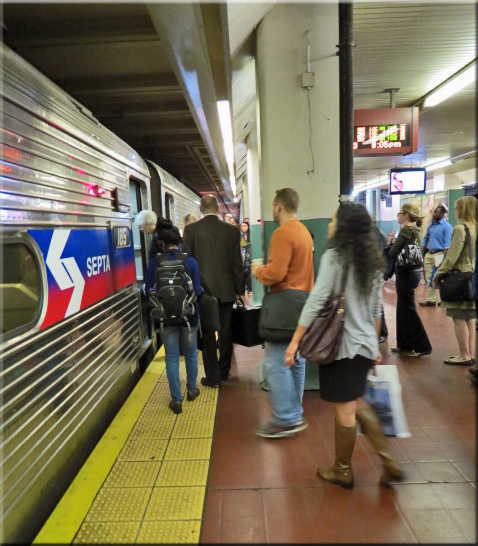 Without funding from the state for SEPTA’s backlog of critical repair work to the tune of $6.5 billion, the Authority will have to significantly shrink the transit system over the next 10 years, SEPTA General Manager Joseph M. Casey reported during his testimony at the hearing. Four trestles, which are over 100 years old, need significant repairs. Unless Pennsylvania legislators approve this funding, commuter citizens will be held hostage by the politics of the State. A small minority of state legislators are set against it as lawmakers wrangle over funding allowances and tax increases. Currently, the bill is held up in the Republican-led house. Cuts will cause layoff of hundreds of SEPTA employees. 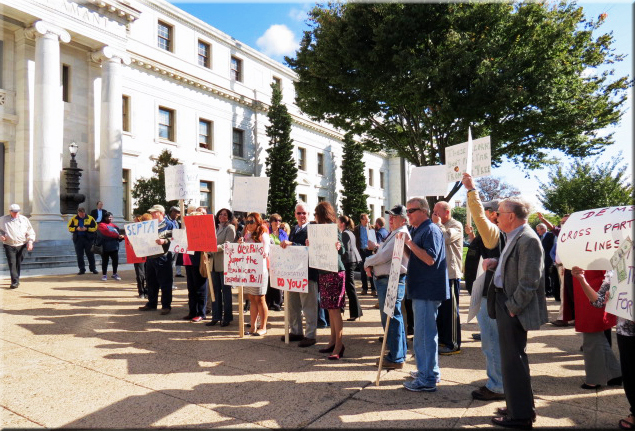 Delaware County citizens have been rallying support for SEPTA funding. A Swarthmore college student started an on-line petition and has collected over 3,200 signatures so far. 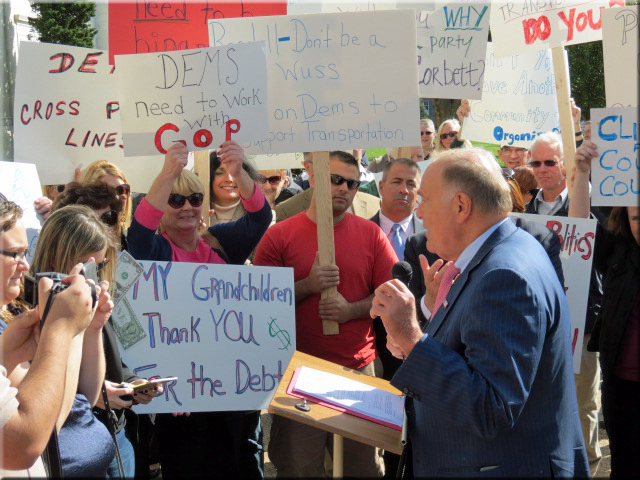 At a press conference on October 18 at the Media Courthouse, (Former) Governor Rendell, standing with local Democrats as well as a few Republicans, expressed his objections to the possible closure of the Media-Elwyn line. Rendell encouraged supporters to support the passage of SB-1, the transportation bill that’s been proposed to fund SEPTA. There are 37 counties with transportation systems in Pennsylvania and all of them would benefit, in my opinion by the bill. The bill would have produced $400 million dollars a year annually for public transportation . . . something that is desperately needed, something in the past we wouldn’t be talking about closing the Media-Elwin line, we wouldn’t be talking about cutbacks not here in Delaware County . . . we should actually be talking about improving public transit. Former Governor Rendell speaks to demonstrators. 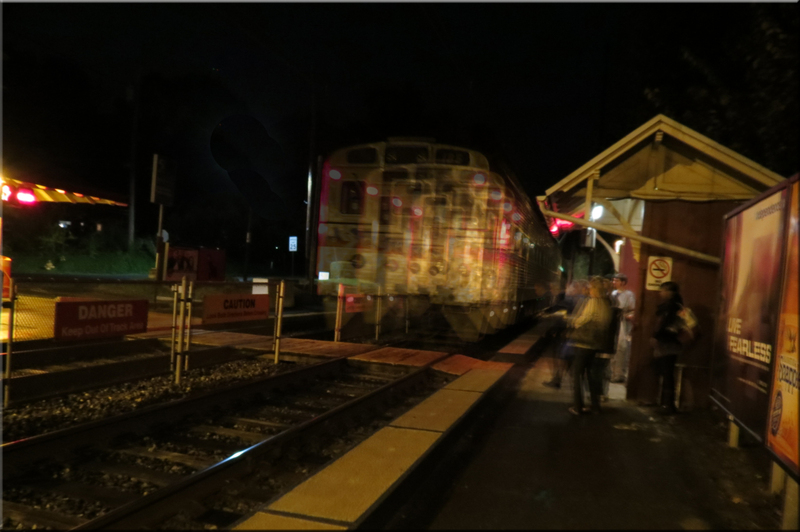 Later that week, after returning from Philadelphia on the Media-Elwin line, I watched as our train left the Wallingford station, fading into the darkness. I wondered if concerned citizens can rally lawmakers so that our public transportation does not disappear from sight.